Are you looking for a summer or full-time job or internship in ecology or conservation? 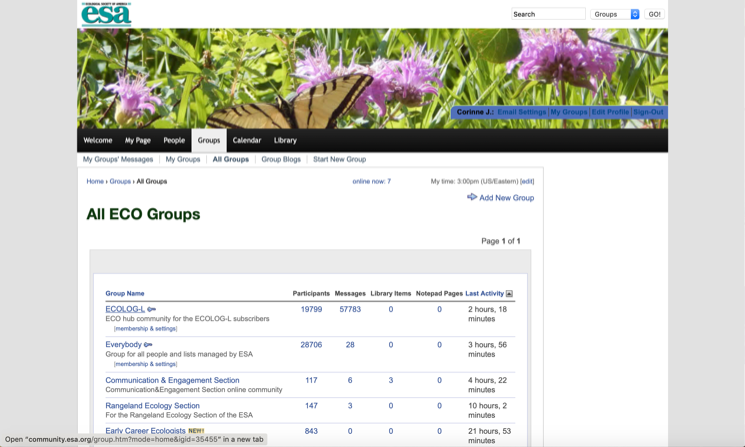 Explore the ECOLOG-L listserv through the Ecological Society of America ECO Online Community! 4. If you’ve ever created an account with ESA before, you might get a warning message saying that you already have an account username. If you do, tell it to send you an email with your username and then follow the link in the email. 5. After creating your account, make sure you are on the website called https://eservices.esa.org. Then click on preferences and scroll down to Account Settings and check the box labeled “Include me in Communities”. 6. 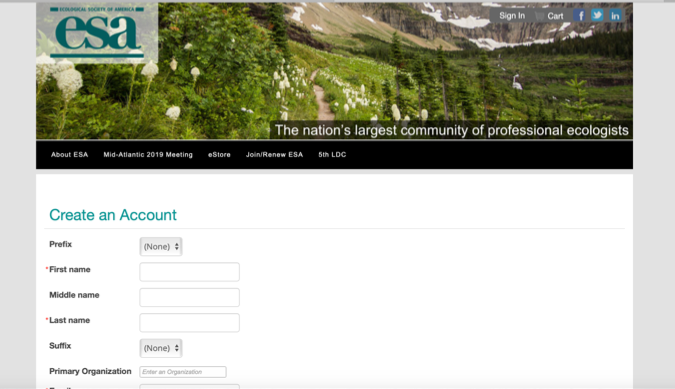 Once your account is created, go to back to esa.orgif you are not already on that page. If you are logged in, you should see a “Welcome to ECO” message on the main page. 9. 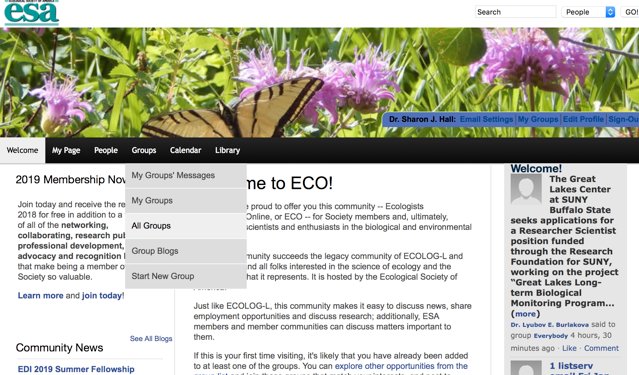 There, you’ll see a group called ECOLOG-L. Click on ECOLOG-L and then click on Join Now in the left grey box. 10. 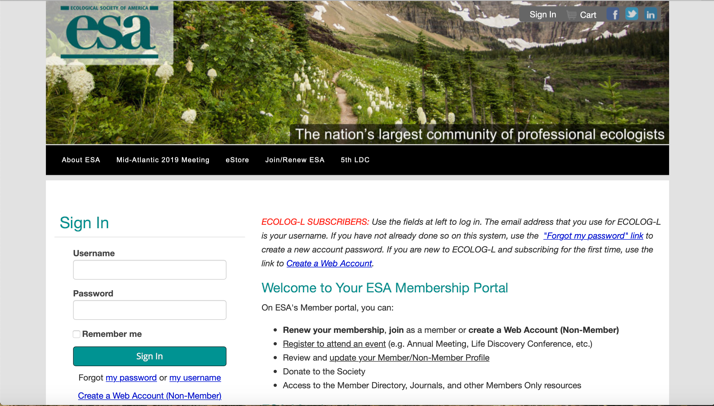 After you join, you’ll see a tiny link under ECOLOG-L called Membership and Settings. 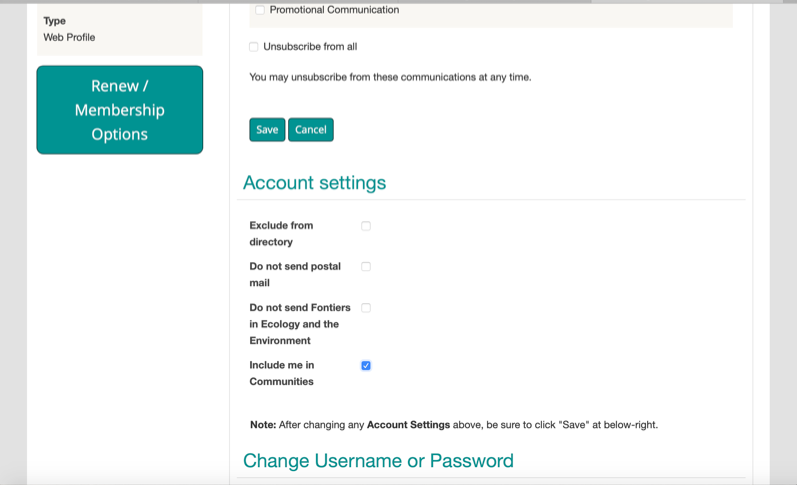 If you click on that, you’ll be able to select a choice from Listserv Message Delivery. 11. If you’d like to get a daily list of postings, some of which will be internships and job opportunities, select the Daily Digest button. Click Save settings to save. 12. 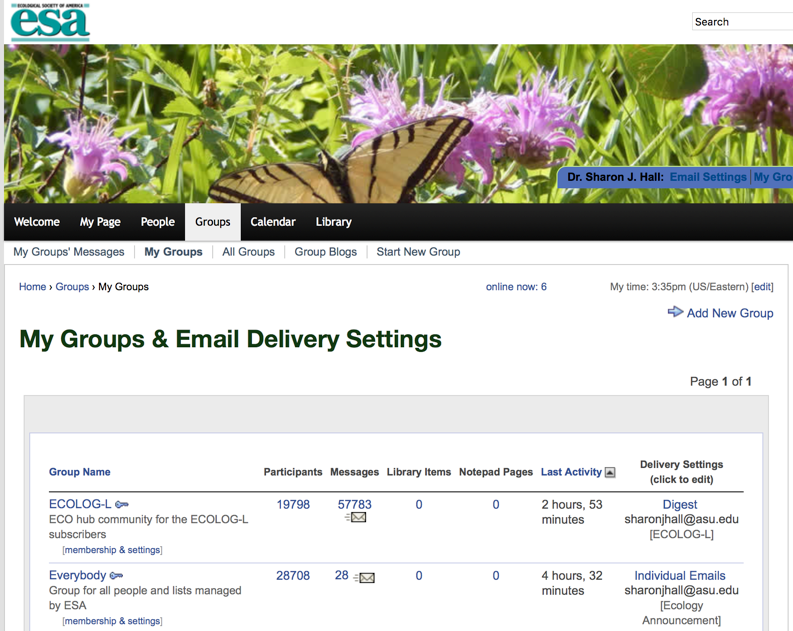 Click the back button or navigate back to ECOLOG-L in the directory (above the Group Membership Settings heading). 13. 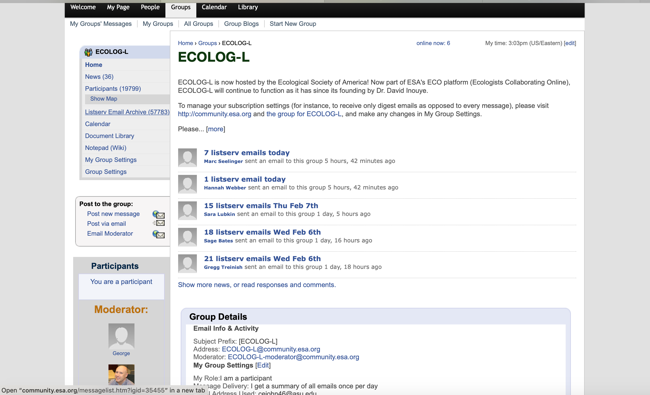 Once you are on the ECOLOG-L page, click Listserv Archive to see a complete list of all the recent postings, in reverse chronological order (newest on top). This archive is large, so it takes a little time to load. Wait a few minutes for the page to load. 14. Once you are in the archives, start scrolling down to see all the postings. Click on the ones that look interesting! There will be jobs and internships posted here, among other types of info. Scroll through these, going back at least a few months. 15. Then, select the opportunities that interest you and read more about them! 16. Bookmark community.esa.org so you can go back to this site anytime you want. When you do, sign in with your username (your email) and password. 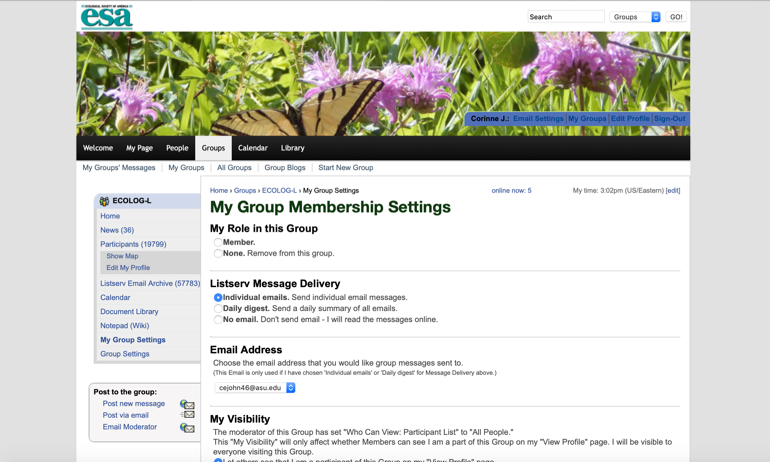 Then click Groups in the black menu bar, then My Groups. 17. 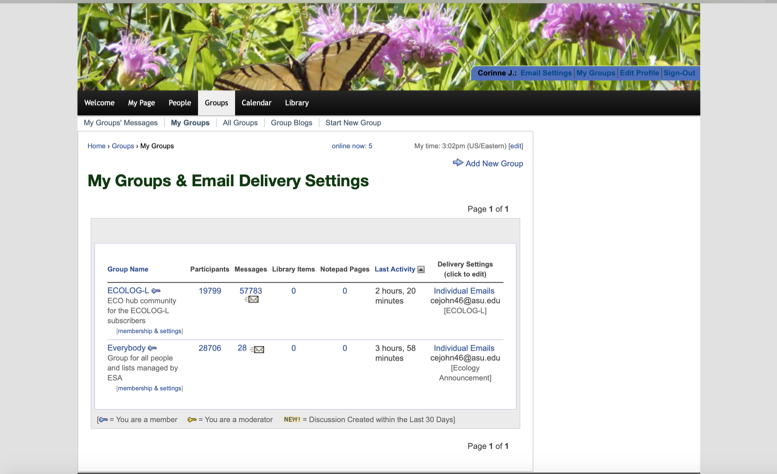 Once in My Groups, you should see the ECOLOG-L link again, and you should see your Digest delivery settings for ECOLOG-L on the right. 18. At this point, you should be able to browse the latest jobs/internships postings as you wish.